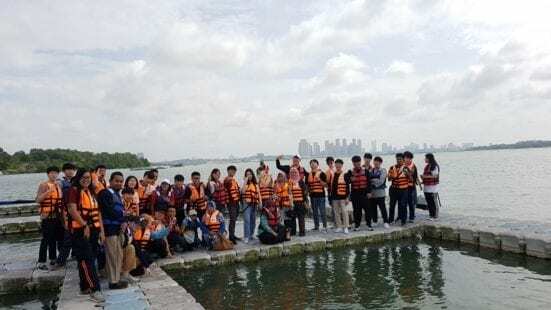 A global learning experience indeed for 32 participants – 23 students from Kookmin University (KMU), Seoul South Korea and 9 UTM students (as Buddies) are here from 13th to 26th January. Initiated and coordinated by Prof Dr. Normah Mohd Ghazali with her 5 team members (Dr Mohd Faisal Hassan, Dr Ummikalsom Abidin, Dr Fairuz Mohd Yasin, Assoc. Prof Dr Norhayati Ahmad, and Dr Noriizah Redzuan), the Summer School SS17 involves in and out of lecture rooms learning experience with laboratory exercises, technical talks, oral presentations, visits to local industries, and etc. with the programme content undergoing slight changes according to the participants’ background. To date, students have been from the mechanical, civil, material, and electrical engineering areas. During the programme, KMU participants stay with the Buddies 24/7, getting to know each other’s differences and similarities through interactions while improving their communication skills and confidence level. Through the programme, participants would be able to understand, appreciate, accept and learn more about each other’s culture and way of life. SS17 started off with UTM internships at KMU and exchange visits of the academicians.The Summer School has been actively running since 2015 when it was officially advertised 2 years ago as SS17 under the MyTree programme. Every year, 15-20 students registered to attend the programme and this year 23 KMU students have been selected out of many who had applied at their home university. 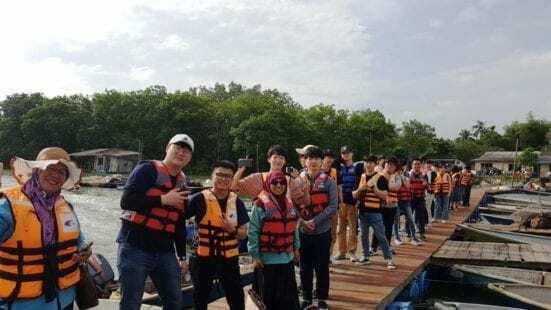 This week, the participants were taken to Sungai Melayu to see the mangroves that grow along the Malaysian southern coastline while visiting the local mussel farm – some ventured to try the fresh raw mussels.